Looking for a fun way to spend a beautiful Autumn afternoon in the outdoors? Or just want to hang out with goats? Come check out one of our Autumn weekend goat hikes. There will also be at least one hike in November, but we haven’t set a date yet. 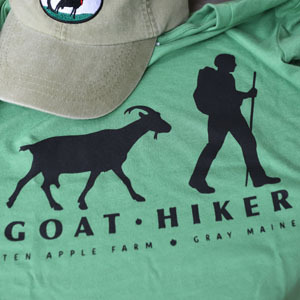 You’ll hike through the Ten Apple Farm woods with our herd of Alpine dairy goats. The hike consists of an approximately 2 mile loop through the woods on fairly well maintained trails. There is some steep terrain. Along the way we’ll talk about goats as pack animals and you’ll learn a thing or two about raising and caring for goats. 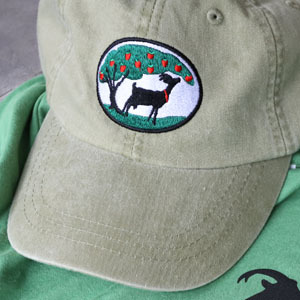 After the hike, try your hand at goat milking, and sample some of our Ten Apple Farm goat cheese. Hikes are $10 for adults, $5 for kids 5-12. Children under 5 should be carried or held on the hikes. And as always, please contact us for private goat hikes or events for 6 people or more!